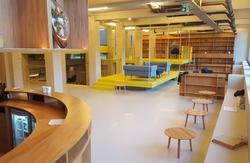 Of course, weï¿½re located near to the main spots of Amsterdam (a central location), but still away from noisy streets. Weï¿½re located near to Amsterdam zoo and the green heart of Amsterdam; itï¿½s nice, calm, and easy to reach most of the visitorsï¿½ sites by walking or public transportation. 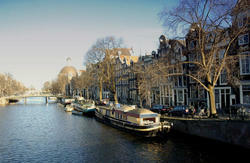 You can get to Central Station, Dam Square, Red Light District, Rembrandt Square and Waterloo Square on foot. Weï¿½re also surrounded by grocery stores, restaurants(Italian, Asian and Turkish), coffee shops, bars and cafes. Please note that we only accept guests aged between 18 and 28. We do not accept bookings of more than six people online. Taking the train to Amsterdam Centraal Station. Take tram line 9 and get off at zoo station (Plantage Kerklaan). Turn right at the corner and we are there after passing three buildings at Plantage kerklaan nr.19. Take tram line 9 or 14 and get off at zoo station (Plantage Kerklaan). 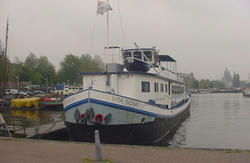 Turn right at the corner and we are there after passing three buildings at Plantage kerklaan nr.19.